In September, I was the only patient invited to present at MAM 2016 in Zurich, Switzerland. After dinner the first night, I spoke to over 200+ surgeons and electrophysiologists (EPs). I tried to describe for the doctors what it’s like to live in Atrial Fibrillation. Here is what I told them. 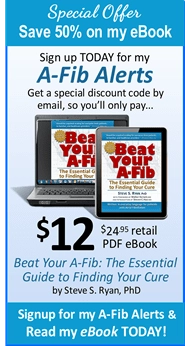 “As most A-Fib patients will testify, you never forget your first A- Fib attack. Mine was 19 years ago, but I can remember it like it was yesterday. All of a sudden my heart started going crazy! It felt like my heart was trying to jump out of my chest or like there was a live fish flopping around in there. I can still feel the sheer terror, fear, confusion, anxiety and worry it created. I remember thinking, “Am I going to die?” “Is this a heart attack?” It was one of the most terrifying experiences of my life. Most symptomatic A-Fib patients have a similar story. A-Fib doesn’t just affect you physically, it affects you emotionally as well. A-Fib affects not just your heart—but also your head—and your quality of life. It affects not just your heart—but also your head—and your quality of life. I wish there were some way to give you a one-minute episode of A-Fib. It would change your perception of A-Fib forever. The psychological and emotional aspects of A-Fib can be as bad as or even worse than the physical. In my case, I lived in fear of the next A-Fib attack. I went through all the emotional gamut—anxiety, fear, worry, confusion, uncertainty, frustration, depression, and finally anger at my own heart. I went through all the emotional gamut—anxiety, fear, worry, confusion, uncertainty, frustration, depression, and finally anger at my own heart. I’m a passionate runner. I used to run along Venice Beach. But my heart would go crazy and beat too fast. I’d have to stop and walk back to our apartment. Talk about frustration! And A-Fib affected my work. I had a great job on the soap opera “Days Of Our Lives” as part of the technical crew. But I’d get dizzy and light headed and nearly lost my job. 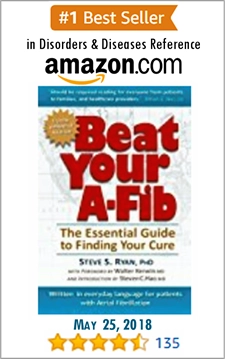 A-Fib wrecked my life! To make a long story short, I locked myself in a medical library and read everything I could find about Atrial Fibrillation. During this time, I tried every drug known to man including the dreaded amiodarone which made me cough up blood. Nothing worked. I found that doctors in Bordeaux, France, had discovered how to make people A-Fib free. One of the doctors who treated me with catheter ablation is here today, Dr. Dipen Shah. Thanks to him, Dr. Haissaguerre and Dr. Jais I’ve been A-Fib free for 18 years. I was their first US patient. 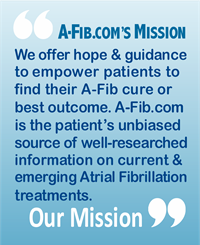 What are you doing to help your patients deal with the Fear and Anxiety of A-Fib? 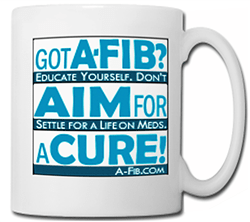 What are you doing to help them cope with the Psychological and Emotional effects of A-Fib? 1. Reference books and websites. Give your patients a short list of web sites and books which you have read and recommend. If you do this, think of how much better informed your patients will be! Knowledge is Power and Control! Learning about A-Fib relieves worry and anxiety. Hint: For distribution, list your recommendations on the back of a business card. If it comes from you, your patients will devour them. 2. Counseling and medication. You should have a list you can give out of several psychiatrists who understand A-Fib and how it affects patients. You’ll know who needs this kind of help. 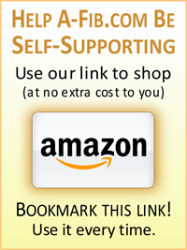 Men, especially, may not admit to themselves that they need help. Finally, I want to thank you on behalf of all the patients you’ve made A-Fib free. There are few medical procedures as transformative and life changing as going from A-Fib to Normal Sinus Rhythm. 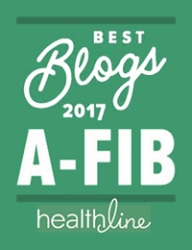 There is simply no comparison between living in A-Fib and being A-Fib free! Normal Sinus Rhythm is wonderful! After my talk I received enthusiastic complements and ‘fist bumps’. I think I really made an impression. I don’t think anyone had ever talked to these doctors like that before. My hope is that the effects of my talk will trickle down to helping others with Atrial Fibrillation.